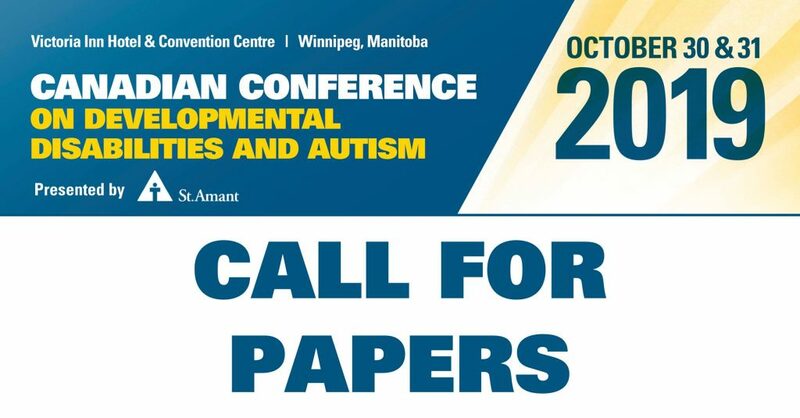 The Canadian Conference on Developmental Disabilities and Autism (CCDDA) is an annual gathering intended to bring together a range of people committed to enhancing quality of supports and services for people with developmental disabilities and autism. Workshop or Lecture Highly-interactive sessions with a focus on learning and practical skill development. The sessions are 60 minutes long. It is expected that the audience will be engaged and encouraged to participate. Video Poster A series of slides/multimedia with narration to be looped continuously throughout the conference. Approximately 5-8 minutes is ideal. Poster Presentation High-quality evidence and research findings available and understandable to the audience. Printed on paper or cloth, no greater than 120 cm in width or height. Download our information form to learn more and how to send a submission. Pharmaceutical donation and reuse programs are distinct prescription drug programs providing for unused prescription drugs to be donated and re-dispensed to patients. Such drug repository programs began with state legislative action in 1997. As of fall 2018 there are 38 states and Guam with enacted laws for donation and reuse. Although states have passed laws establishing these programs, more than a dozen of these states do not have functioning or operational programs. "Operational programs" are those states that have participating pharmacies, charitable clinics, and/or hospitals collecting and redistributing donated drugs to eligible patients. Some common obstacles are the lack of awareness about the programs, no central agency or entity designated to operate and fund the program, and added work and responsibility for repository sites that accept the donations. For corporate contributions, see the information about the Medical Mission Pack program (MAP International). Note: MAP International does not accept product donations from individuals. "What Should I Do With Unused Medications?" Veterinary Information Network (VIN): "Controlled-drugs disposal options expanded"
American Veterinary Medical Association (AVMA) "Disposal of Unwanted Medications"
How to Dispose of Unused Medications The FDA has released some guidelines with best practices for disposing of unused medications. This guide is helpful both for human and veterinary medications. 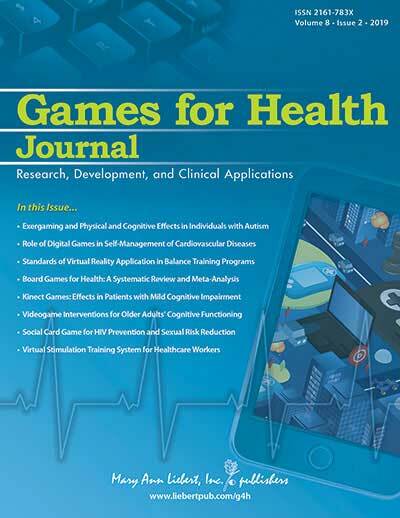 Games for Health Journal is the first peer-reviewed journal dedicated to advancing the impact of game research, technologies, and applications on human health and well-being. This ground-breaking publication delivers original research that directly impacts this emerging, widely-recognized, and increasingly adopted area of healthcare. Modifiable lifestyle risk factors (unhealthy diet, physical inactivity, and tobacco use) are important drivers of many non-communicable diseases (NCDs), which represent a major cause of death and disability worldwide. It has been projected by the World Health Organization that, by 2030, three-quarters of all deaths worldwide will be due to NCDs. Further, it has been estimated that if the risk factors were eliminated, at least 80% of all heart disease, stroke, and type 2 diabetes and over 40% of cancer would be prevented. Traditional models of healthcare delivery—such as receiving health-related education from nurses, dietitians, and health psychologists—can often be resource intensive and expensive, and has limited reach. Recent research highlights the potential of serious games for motivating and promoting knowledge and lifestyle changes. Serious games (a.k.a. applied games) are designed for a primary purpose other than pure entertainment. Given their ubiquitous use, smartphones and tablet computers in particular offer unprecedented opportunity to support people to make lifestyle change, regardless of their physical location. Such games can provide engaging interactive health education modules, help keep track of progress, and provide feedback on users’ eating and drinking habits and/or physical activities, thus helping people to achieve long-term lifestyle changes through sustained interaction. The deadline for manuscript submission is August 15, 2019. Please submit your papers online to the web-based manuscript submission and peer-review system. For manuscript submission guidelines and further information about the Journal, please visit the Games for Health Journal website. We look forward to receiving your manuscripts and to your active participation in the Journal! *When submitting, please include the following acronym: DPLC (standing for Disease Prevention and Lifestyle Changes) at the beginning of the title of your manuscript.